In the 4th century BCE, an Athenian author and philosopher called Plato wrote a description of an ancient civilisation that was once supposed to have existed somewhere outside of the Straits of Gibraltar (known then as the ‘Pillars of Herakles’) either in or bordering the Atlantic Ocean. Plato’s narrator Critias names it the ‘Island of Atlas’ (otherwise known as ‘Atlantis’) and claims the authority for its existence to have been the Egyptians who he claimed had records of it during the 6thc BCE. 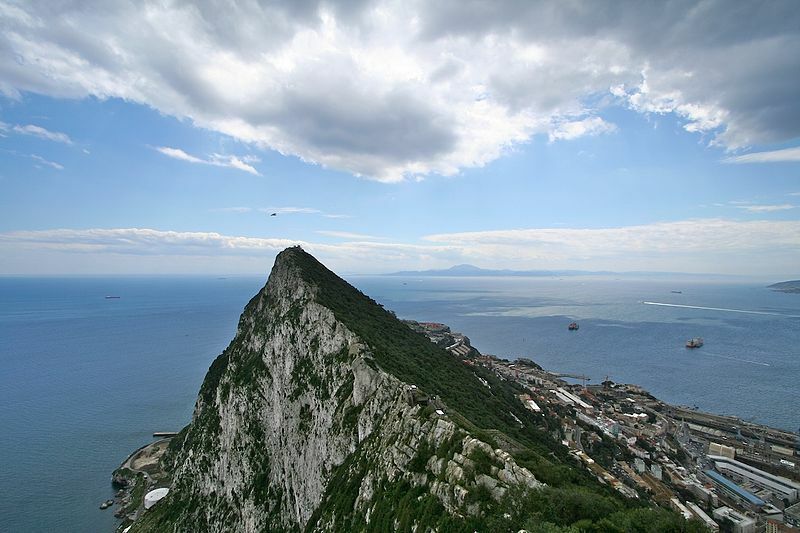 The straits of Gibraltar were known as the ‘Pillars of Hercules’ to the ancients – gateway to the wild Atlantic. Plato’s story is full of embellishments of architectural prowess, size and details suggesting Atlantis to be a Hellenic style of civilisation, perhaps unsurprising given the power of Athens in his time and perhaps the story (as much as we have that survives) was meant to be an allegory of the potential for great powers to collapse when they deny their divine (philosophical) origins. Whatever the case, this is the fate of Atlantis in Plato’s tale which is returned to the elemental condition of its supposed founder, the Greek ocean god Poseidon, in a great earthquake and deluge. The origin and fate of Atlantis and the Atlanteans has continued to intrigue and generate speculation for almost 2500 years. Many take Plato’s account at face value – that it is a literal truth as he told it and seek to locate the civilisation out in the wider Atlantic; Still others refer the tale to the very real Post-Holocene inundation which flooded the great plain known as Doggerland under what is now the southern part of the North Sea, destroying and displacing many peoples and their settlements during the late Stone Age. 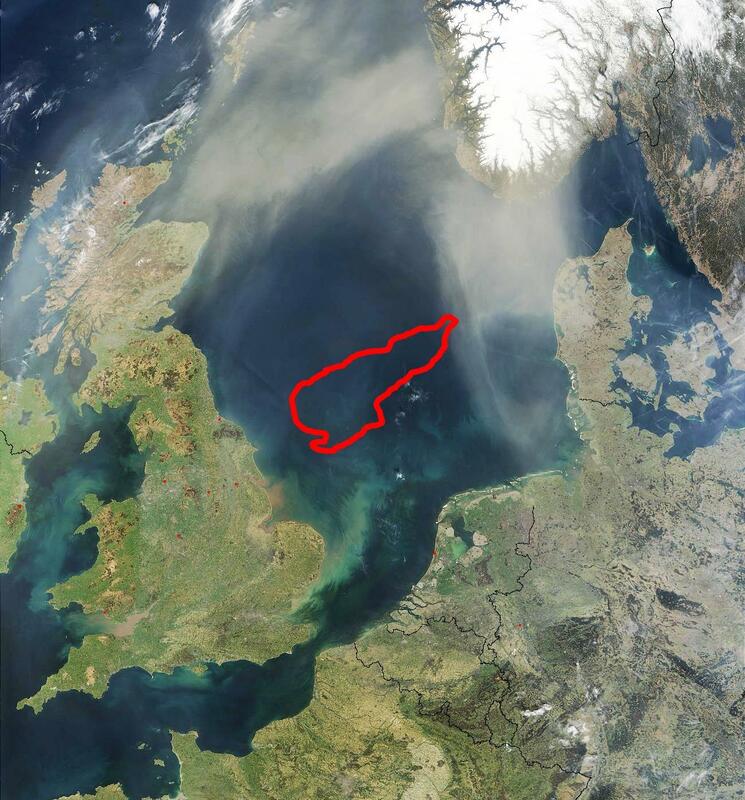 The speed of this inundation is not known, but it is likely gradual, with the remaining Island of Dogger Bank probably finally being submerged circa 5000BC around the time of the increase of the fabulous Neolithic Atlantic Culture. 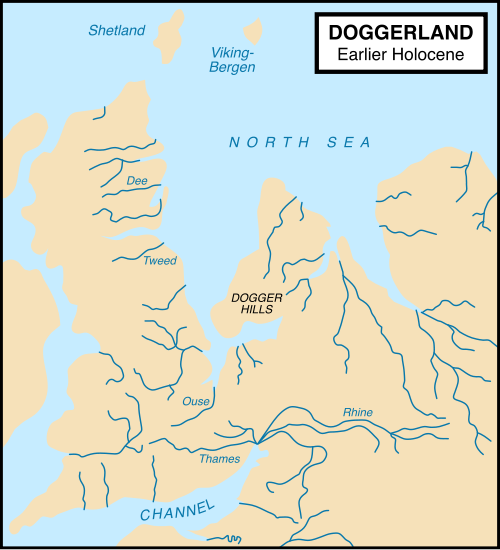 Dogger Bank was probably finally submerged by rising sea levels around 5000BC. A likely candidate for Pliny’s Atlantis…. What we can be certain of is that the account deals with an self-encompassed civilisation which had its own religion and philosophy and which achieved technical greatness sufficient to leave echoes in the sophisticated classical world, among the ancient Egyptians and Greeks. The account is specific that the civilisation was Atlantic. The form of it would not therefore very likely be of the Mediterranean type implied by Plato’s Athenian-biased account. The chances are that it was something to do with the ‘Barbarian’ peoples who had developed such a sophisticated survival-relationship with the coastal regions and Island-archipelagos of Northern Europe, and left such an intriguing archaeological record of their sophisticated supra-regional culture through their ancient temples, stone circles, sophisticated field-systems and settlements, by Plato’s time largely abandoned and lost under the sands and peats of the distant islands and bogs of Europe’s Atlantic Northwest provinces. From the Orkneys to the Irish Burren, Brodgar, Newgrange, Scara Brae, Stonehenge and the the Céide Fields of County Mayo this ancient regional civilisation and its attendant religious philosophies continues to emerge from the soil and the mists of history to challenge our notions about civilisation among the ‘barbarians’.